The widow of murder victim Pat Ward last night told of her devastation that their four young children will have to grow up without a father. The body of the 30-year-old, who was originally from Sligo but moved to Co Tyrone with his family last November, was discovered in an alleyway in the town’s McCrea Park at around 8.15am on Saturday. It is understood that he had suffered stab wounds and police have arrested a 23-year-old man and a 33-year-old woman on suspicion of murder. Last night the PSNI revealed that a court had granted detectives an additional 36 hours to question the suspects. A source has claimed that the young man being quizzed by detectives is also originally from the Sligo area, and was known to Mr Ward. Mr Ward, known as ‘Big Bang’, was a member of the Travelling community and was one of 13 siblings from a Sligo family. It is understood he took part in unlicensed boxing and was known to the Garda. His death came nearly 12 years after the murder of his 23-year-old brother Tom in a hatchet attack outside his Sligo home in 2007. Nobody has been charged in connection with that murder. 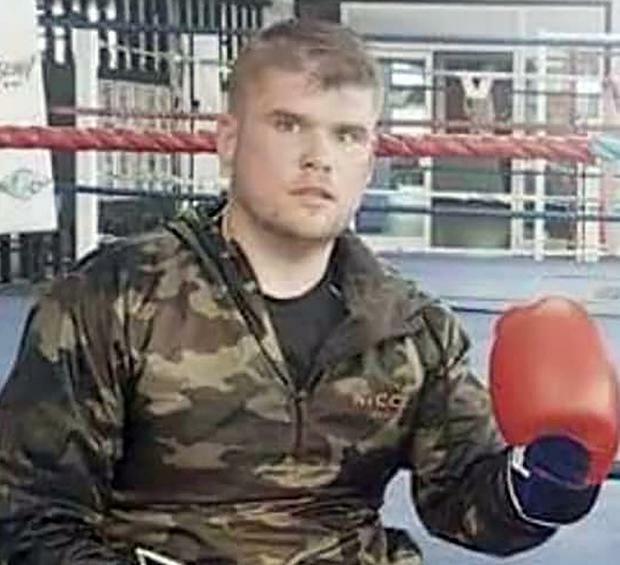 That killing was linked to an ongoing feud in the Sligo area, but at this stage there is nothing to suggest that Pat Ward’s murder is connected to the same dispute. His parents Tom and Brigie Ward are now mourning the loss of a second son. 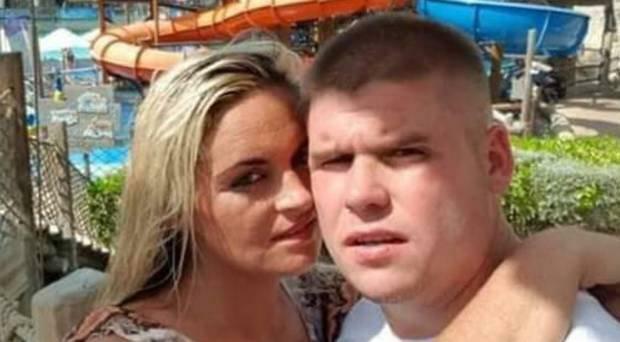 Yesterday his grieving widow Ellen (29), known as Ellie, told the Belfast Telegraph that she felt “stuck in a nightmare” at the loss of her husband of 10 years. The couple have four children: Tom (10), Leonie (8), Chanara (3) and Pat Jr (14 months). “Pat was a loving, caring husband and father who adored his kids, his wife and his family,” Ellie said. “Due to this ordeal my kids will grow up without a father, and I will live the rest of my life without a husband. It’s so sad that he has lost his life in such a brutal way. “I feel that I am still in a dream and I haven’t woken up yet. “It’s really getting to the two older kids, they are crying and very upset. “Pat’s parents are devastated, they don’t want to accept it. She said she last saw her husband on Friday night, when he went out for a drink at around 6pm. He briefly returned home at about 10.30pm before leaving again, and that was the last time she saw him alive. “He didn’t come home that night, and he didn’t answer his phone,” she said. “I heard that a body had been found, and they believed it was my husband. “It was the worst news of my life. “It was so devastating to have to go and identify my husband’s body in the morgue at such a young age. I was told he had been stabbed. “He was robbed of his life, he had so many plans for his future. “He loved his family – his kids, his brothers and sisters. Ellie said she wants justice for her husband, but can’t bear to stay in their home overlooking the murder scene. “As soon as everything calms down I will pack, there are too many memories here,” she said. “When I go out my front door I see the alleyway where he was lying for hours, where he was brutally murdered. “I would appeal for anyone who saw anything to come forward to the police. Meanwhile, other relatives took to social media to pay tribute to Mr Ward. His niece Bridget Ward claimed that her uncle had been stabbed a number of times in the attack. “My heart’s shattered. After 10 years history was repeated, second murder,” she wrote on Saturday. On the day that Mr Ward’s body was discovered his brother Martin posted a photo of him sitting at the side of a boxing ring, and said: “My poor brother Pat who was murdered this morning. Mr Ward’s other brother Terence posted a photograph of them together, saying: “My brother, our champ. Meanwhile, Mr Ward’s nephew, also called Martin, told of his devastation at the murder of a second uncle. “God I am devastated, another uncle murdered on me,” he wrote. “You’re with your brother Tom now, what you always wanted. Sligo Fine Gael representative Blaine Gaffney, who went to school with Mr Ward, described the young father’s death as a “massive shock”. “I knew Pat from attending the Mercy Primary School in Sligo and I know his extended family here who still live in Sligo,” he said. “My thoughts and condolences go to the family. DUP Clogher Valley councillor Wills Robinson said that McCrea Park residents “just can’t believe that something like this has happened on their doorstep”. “This is very concerning,” he said. “Local people are shocked to have a murder investigation now taking place. Sinn Fein MP Michelle Gildernew said the murder had “shocked the local community”. “Police are investigating and I would encourage anyone with information that could help to bring it forward,” she said. Police are appealing for anyone who was in the McCrea Park area on Friday night or early on Saturday morning, and who witnessed any unusual activity, to contact detectives on 101 quoting reference 403 09/02/19 or by ringing Crimestoppers anonymously on 0800 555 111.